For performance-measurement in human-resource administration, it’s actually fairly easy to develop performance indicators. The key, though, is to design measurement systems the right way. In planning, it’s important to drive engagement, productivity and quality. Mindset is important. Don’t focus on shortcomings of your employees. Focus on their improvement by leveraging their strengths. Each indicator has to designed in such a way so that it’s positively interpreted. By focusing on baby steps for progress, your employees will improve in their performance. Be sure not to micromanage them. 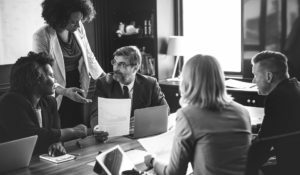 Employees will act timidly and tentatively if they feel you’re looking over their shoulder. You want employees to anticipate each indicator as an opportunity for noteworthy personal and organizational growth. Select and gather a small team of employees, including the current folks in the jobs that you need to measure. Again, you’ll need to spin it positively, as a winning venture. Choose one person as the catalyst to manage the process so that it’s efficient. Make sure to solicit ideas from each person. Everyone needs to know they’ll be heard. Communicate each course of action externally; outside your crew. For a full awareness of what needs to be accomplished, consult each participant in the project to be measured. — Understand what is being accomplished now. — Know what the objectives are. — Determine how suggested improvements will work for the welfare of your organization. This is most salient of these three steps. It helps you determine how to fine-tune the process in your course of action. Otherwise, why go through this development process, if you don’t take precautions to insure measurement success? Each indicator has to designed in such a way so that it’s positively interpreted. Pick a few salient outputs of each function to be gauged. As you’re just starting out, don’t make the process too complex for your team members to assimilate. At a later date, you can select the less-complex outcomes for measurement. This might be a marathon, so be patient until you complete the process for all measurements. Be careful and diligent in developing measurements. Anticipate how your units will be measured and when you’ve accomplished your tasks, how they’ll be documented and what to do about any unanswered issues. You’ll need documentation for referencing later. Ascertain the methods needed to denote your data so they can be reported. Don’t take shortcuts in determining the steps for your process and how much time will be needed to invest in it. Be diligent in corresponding your data for your reporting, the time to accomplish it, and the useful significance of your reports. Accumulate your data on a regular basis. Your employees need to know the importance of your plan. Thoroughly engage them. Explain the who, what, when, where and how of the process. That entails in-person discussions and written strategies. Change often frightens people who aren’t accustomed to the process. The more then know, the better their response. You want them to fully appreciate the opportunity for growth and to take part. With Employees’ Help, 3 Strategies to Succeed with Your Strategic Plan — Have you developed your strategy? It’s important to proceed without engaging in self doubt. But you’re concerned about involving your employees? There are three closely related basics in working with your employees to get the job done. To Realize Your Business Vision, 8 Best Practices for Setting Goals — Whatever your situation, to realize your vision, focusing on the right details is a skill conducive for strategically setting goals. Here are eight best practices. Competitive Intelligence Author Shares Her Insights — Even before the Great Recession, businesses had headaches in reducing risks. What’s a tool to reduce risk and make profits? Competitive intelligence. 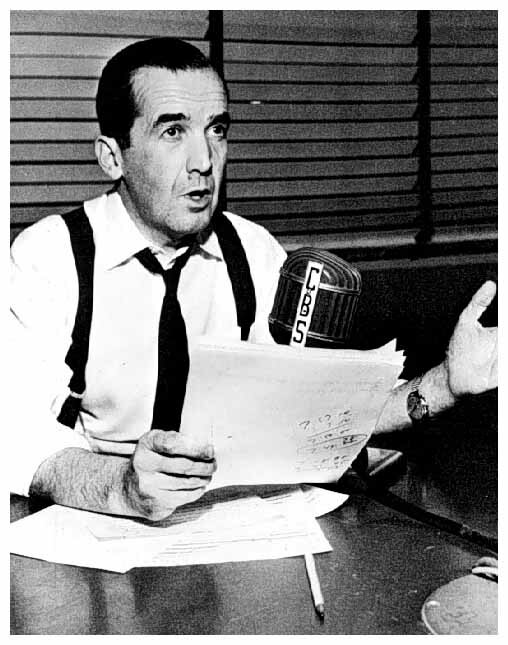 Edward R. Murrow (April 25, 1908 – April 27, 1965) was a famous American journalist and revered by his successors for being a courageous, honest reporter. He is best remembered for his journalistic bravery — his groundbreaking reports about Nazi Germany and later on World War II — as well as his 1954 TV program that led to the political downfall of a demagogue, Wisconsin Sen. Joseph McCarthy. The Edward R. Murrow College of Communication is named in his honor at his alma mater, Washington State University. More than likely he would be angered by recent government-censorship developments, and would be applauding activities of a noted journalism organization. Why? As Americans trusted Mr. Murrow to do the right thing in journalism, one of the world’s most-trusted and largest news reporting services warned about censorship imposed by the Obama Administration. It was the organization’s second warning in 2014. Ignoring the public’s right to know is a serious accusation, especially from the Associated Press (AP). Founded in 1846, AP has been a reliable source of news for countless major and minor stories. It’s a cooperative funded by American broadcast and newspaper companies. Based in New York, it has operations in 280+ global locales. It has been honored with 51 Pulitzer Prizes. So it was eye-opening when AP cited the Obama Administration for its failures in transparency. AP blogger, Erin Madigan White, wrote: 8 ways the Obama administration is blocking information on Sept. 19, 2014. She quoted AP Washington Bureau Chief Sally Buzbee, who addressed a meeting of American Society of News Editors, the Associated Press Media Editors and the Associated Press Photo Managers. For years, we know Mr. Obama has reneged on his pre-election vow to be transparent. But now, not only the federal government fails to provide information, state and local governments are following his example. There’s a blackout on the war on Islamist terrorists. In previous wars, reporters were even embedded with the troops. The administration won’t let journalists observe meetings with foreign leaders. Instead, the White House hands out pictures taken by government photographers. With the 9/11 trial of the Guantanamo detainees approaching, there isn’t any access to court filings – even non-classified documents. Federal agencies aren’t complying with the Freedom of Information Act (FOIA). Journalists request information as they’re legally entitled to do, but the government is nonresponsive. The Obama Administration “is trying to control the information that state and local officials can give out.” Ms. White cited clandestine behavior on cellphone spying. Ms. White wrote: AP top editor urges journalists to renew fight for access on May 20, 2014. She quoted Kathleen Carroll, a senior vice president and executive editor of The Associated Press, who lobbied journalists to fight censorship. It was at a gathering in New York of the Reporters Committee for Freedom of the Press. Journalists should stand together to fight censorship. Tell journalism schools to fully inform students of their rights to access after they graduate. Memo to journalists: Now how about calling for accountability in the Obama Administration on other scandals, such as the IRS treatment of the president’s political opponents and the Benghazi coverup. Obama’s Broken Promise for Transparent Government – Study — New questions emerge about President Obama’s promise for open government — in the aftermath of the creepy behavior of Obama Administration officials in the IRS scandal, the snooping on journalists, and the changing stories about their roles in denying aid to four Americans who were killed at Benghazi. How Will Journalists Act After Obama’s Supreme Slap at the 1st Amendment? — Updated Feb. 26, 2014 A controversial study of the news media by the Federal Communications Commission has been put on hold. Many Republican lawmakers, media groups — and this business portal — complained that the study was a disingenuous attempt to influence journalists in their news coverage.